Our First Wedding Was Spectacular! 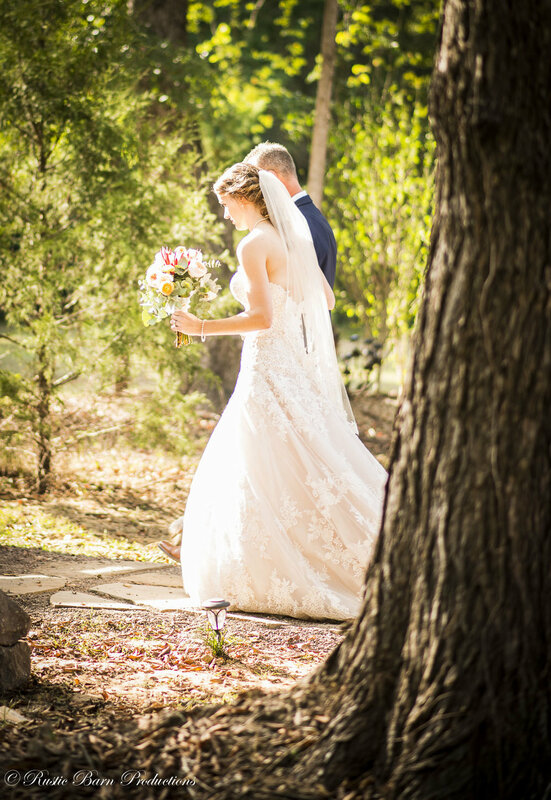 The first wedding at Rustic Barn Productions was unbelievable. Everything moved smoothly. The catering was done by Maison Louisiane out of Natchitoches, LA. Their food was delicious. The couple chose a non-tradition cake theme. Instead of a cake she chose strawberry pies from Strawns Eat Shop Too and he had little bundt cakes from Nothing Bundt Cakes. The DJ was Nick with Mike's Light and Sound Co. He kept the reception going and the music was fantastic. I have never seen so much dancing. Meagan Awalt designed all the flowers. The photographer they chose was Milisa Pickett. I was able to stay out of her way and took some photos of my own. There were close to 30 children at the wedding and they were very well behaved. These two families were so easy to work with. We could not have asked for a better first wedding. The groom made some gorgeous doors out of barn wood for the outdoor ceremony area. After the wedding was over he told us we could keep them. We were so excited. We want to wish Shelby and Nate a wonderful marriage and years of happiness.